The same applies to the Available to Work box. It's dimmed until you select the Available To Work check box. Selecting the check boxes is necessary because it helps you specify what kind of filter you want to apply. You can apply a resource filter only, or just check for available time. And of course, you can combine the two—applying a filter to find only those resources who meet the filter criteria and have a certain amount of available time. 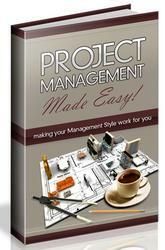 1 With the Gantt Chart or other task sheet open, click Assign Resources on the Standard toolbar. 2 In the Assign Resources dialog box, click the work resource whose availability graph you want to view. Note that availability does not apply to material resources. 3 Click the Graphs button. The Resource Availability Graph for the selected resource appears (see Figure 7-4). By default, the work graph is displayed. Figure 7-4. In the Work version of the Resource Availability Graph, you can review the selected resource's remaining availability over time. 4 To change the field on which the graph is based, click Remaining Availability or Assignment Work in the Select Graph list. The Work graph shows the total work for all the selected resource's assignments. 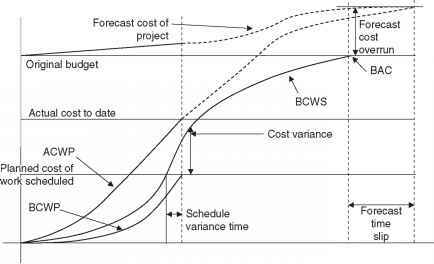 The Assignment Work graph breaks down the work on the currently selected tasks in relation to the selected resource's total work assigned (see Figure 7-5). 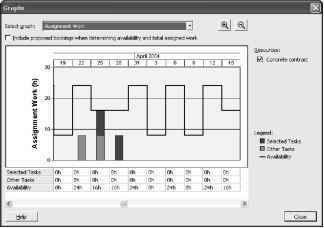 The Remaining Availability graph shows when the selected resource has any available time for more assignments. Figure 7-5. With the Assignment Work version of the Resource Availability Graph, you can compare the workload of selected tasks with those of other tasks. 5 To change the timescale for the graph, click the Zoom In or Zoom Out buttons. The Zoom In button provides a closer look at a shorter time period. For example, it can change the graph from a view of weeks to a view of days. The Zoom Out button provides an overview of availability over a longer time period. 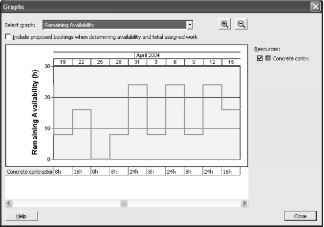 For example, it can change the graph from a view of weeks to a view of months. 6 When finished reviewing the graph, click the Close button. The Assign Resources dialog box appears again.